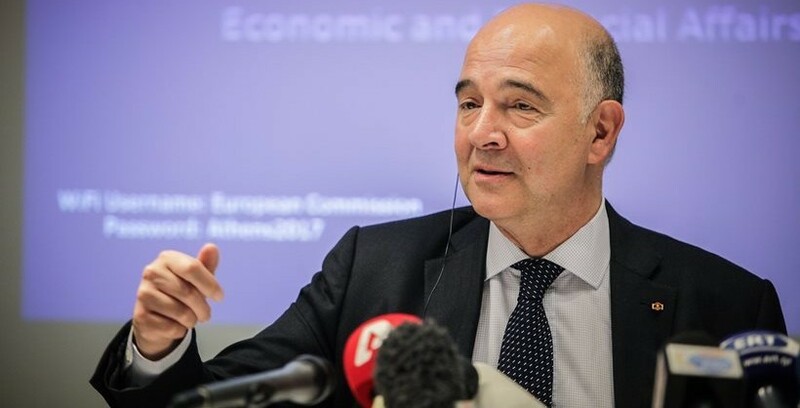 European Commissioner for Economic and Financial Affairs, Taxation and Customs Pierre Moscovici said Greece would remain under fiscal supervision even after the current bailout programme expires based EU regulations until the government pays off at least 75% of its financial support it had received from either other EU member-states, the ESM and the EFSM. The Commissioner’s response effectively shatters the Greek government’s narrative that the country is in a stage of exiting the economic crisis and returning to normalcy. Responding to a written question submitted by SYRIZA MEP Nikos Chountis on the procedures of the supervision mechanism (timing of next evaluation of Greek economy and the institutional bodies used).